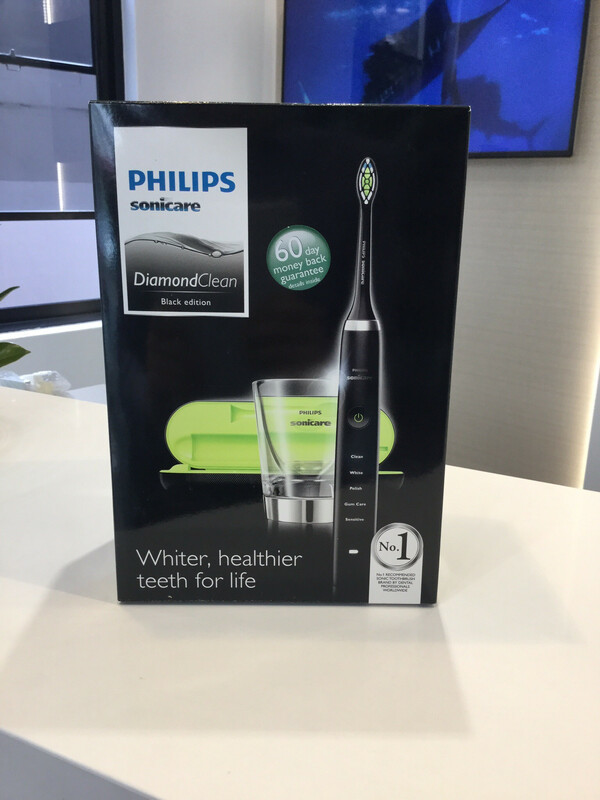 Philips Sonicare Diamond Clean Black Edition electric toothbrush. Philips Diamond Clean Black Edition premium electric tooth brush. Philips Sonicare range of toothbrushes gently clean your teeth with a sonic vibration of the bristles. The sonic pulses help to remove plaque even beyond the tip of the bristles. The diamond clean brush comes with a wireless charging glass and a separate travel charger. This tasteful black brush, with clean lines will suit any stylish bathroom. Most importantly it will leave your teeth clean and gums health.